Beunka Adams was executed by the state of Texas on April 26, 2012. Beunka Adams was pronounced dead at 6:25 pm CDT, inside the Walls Unit execution chamber at the Huntsville State Penitentiary in Huntsville, Texas. Buenka was 29 years of age. 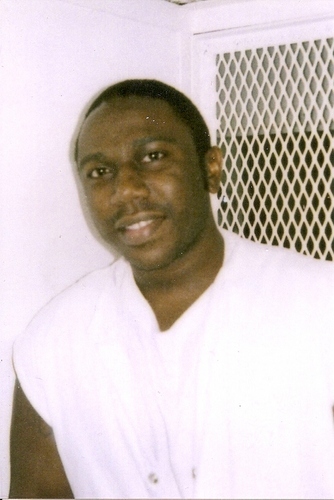 He was executed for the murder of 24-year-old Kenneth Wayne Vandeer on September 2, 2002, after kidnapping him during a robbery of a convenience store in Rusk, Texas. Two girls who were working at the store were also kidnapped. One was raped and both were shot but survived their injuries. Beunka’s childhood was not easy. His mother was addicted to drugs and alcohol and frequently neglected Beunka. Beunka became addicted to drugs and alcohol as an adult. Beunka met his co-conspirator while they both attended a boot camp. Please pray for peace and healing for the family of Kenneth and all those who have been harmed by his actions. Please pray for Beunka’s family.